Chic and upscale or casual and cool, waterfront dining Long Beach Island -style is the perfect dining experience. Keep reading to learn why there’s no better place for dining than the Long Beach Island waterfront! Oceanfront or bayside, waterfront dining in Long Beach Island has it all. While the sun sets in the west, the Jersey shore, LBI in particular, boasts some spectacular sunset views. Sunset or no sunset, LBI’s waterfront views are consistently gorgeous, calming, and timeless. No matter where you are on LBI, the waterfront is only a few blocks away. The ocean is along one side and the bay is along the other. If you’re staying at an oceanfront LBI hotel, there may even be an oceanfront restaurant right on site! Spray Beach Hotel, for one, has special deals available for guests dining at their hotel restaurant and beachfront pavillion. To get the full waterfront dining in Long Beach Island experience, you’ll need some live summertime entertainment. Many restaurants have nightly or weekend lineups of talented local entertainers. 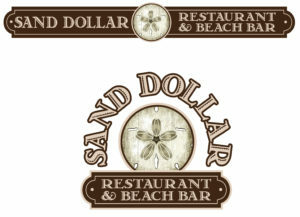 The Sand Dollar Restauranthas regular live entertainment. Check out their 2018 list of performers and plan your date! What says romance better than a dinner for two by the ocean? 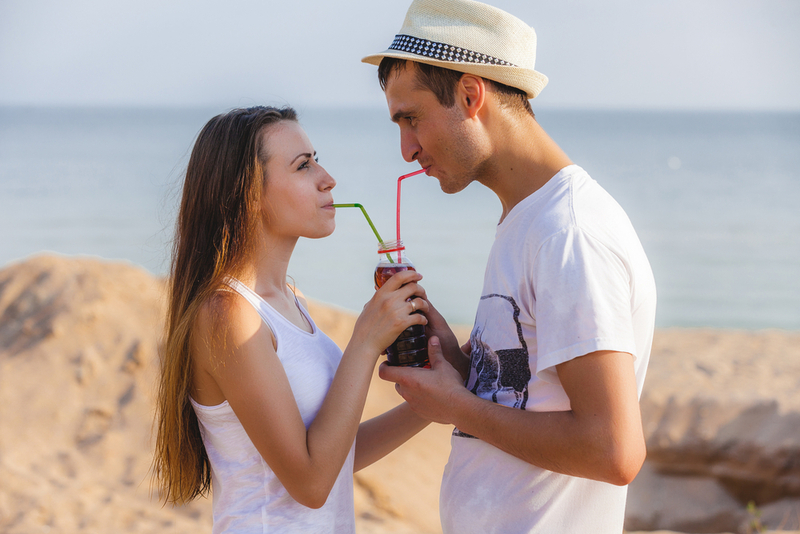 Let waterfront dining on Long Beach Islandhelp you to rekindle the flame with your loved one. LBI has a variety of offerings to set the mood for all romantic occasions – from popping the question to your 50th wedding anniversary. Whether it be the menu, attentive staff, live entertainment, or the simple sounds of the sea, an evening out at a waterfront restaurant in LBI is sure to impress! On the contrary to date night, family fun night (or an afternoon lunch) is also a great match for waterfront dining on Long Beach Island. LBI has loads of kid-friendly restaurantson the beach that will satisfy your crew for breakfast, lunch, and dinner. From kid menus to patient staff to a spacious outdoor setting, your little ones will be happy you chose waterfront dining in Long Beach Island. 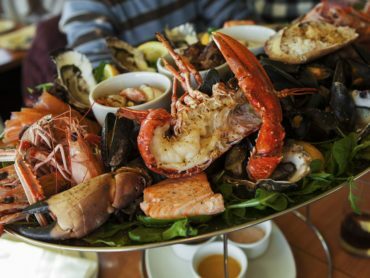 It’s no secret that Long Beach Island has some of the best seafood restaurants in the Jersey shore. The local fishing industry is thriving so you’re in luck if you’re a seafood lover. 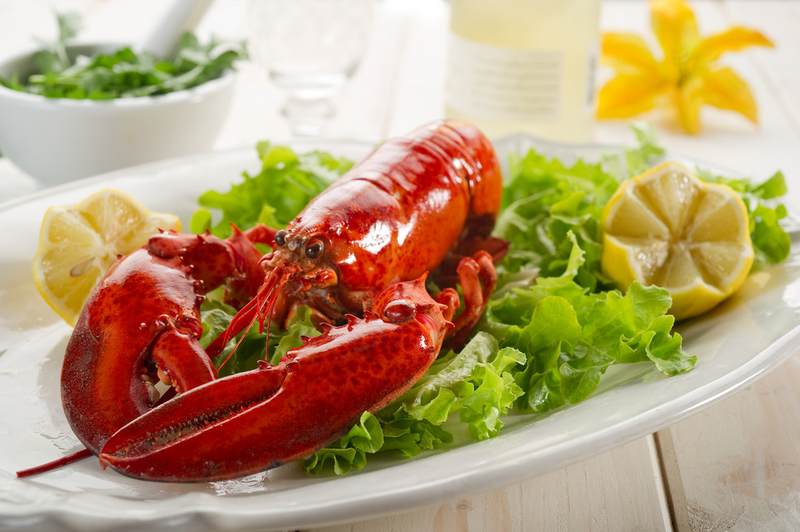 It’s common for local restaurants to have fresh catch of the day specials and weekly dinner specials with crab legs, lobster, and surf and turf. Besides seafood, Jersey shore vacationers like to get a taste of all kinds of American classics like burgers, pizza, and wings. South Jersey also has thriving agriculture and LBI restaurants will often use local produce in their dishes. There’s not much sweeter than Jersey tomatoes, corn, or blueberries. Let’s not forget the desserts! The region is also known for great New York style cheesecakes and house special chocolates and fudge. All of that and more are menu options you’ll find at a waterfront dining Long Beach Island restaurant. Download Free 2018 LBI Summer Vacation Guide! 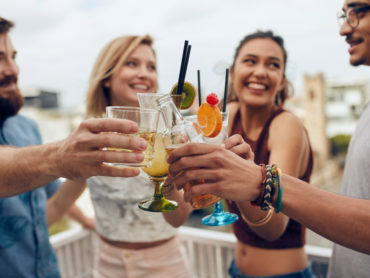 Whether you’re straight off the beach or getting cleaned up for a fine dining experience, waterfront dining in Long Beach Island is the way to go. Many places follow a no shirt, no shoes, no service kind of policy. However, tanks, beach cover ups, and sand covered flip flops are fine in most places, especially at lunch time. 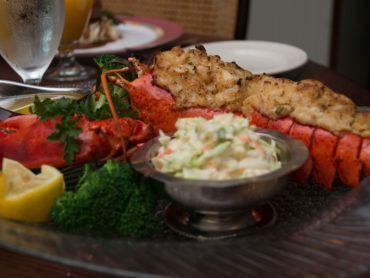 It’s your vacation, your waterfront dining in Long Beach Island experience, and your choice. The wind and sea will stay, but the view, charm, and menu will change with the seasons. 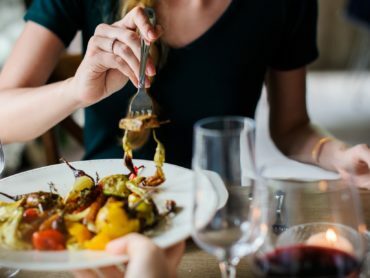 Enjoy a meal at your favorite waterfront dining Long Beach Island restaurant before the season ends!Some Long Beach Island restaurants are open year round, but September and October are the perfect months, according to the LBI locals! If you love king crabs, lobster, prime rib, and oceanfront dining, check out these great specials and make a reservation today!